Faith without Evidence: Are we really a bunch of ‘Flat Earthers’? The following discussion is based on Lawrence Geraty’s (retired president of LSU and supporter of long-age views of origins) review of the creation presentations given at the General Conference in Atlanta – as originally published by Spectrum. Clausen sees the Sabbath as symbolizing what Anselm said about â€œfaith seeking understanding.â€ In conclusion he urged us to place our faith in the Bible because there is not enough support from science. I disagree with Ben Clausen. The clear weight of evidence, as far as Iâ€™ve been able to tell, is strongly supportive of the SDA position on origins. The genetic, geologic, and fossil evidence all speak to a recent formation of life on this planet and to a sudden worldwide watery catastrophe that produced much of both the geologic and fossil records in very short order. Because of this weight of evidence, I think that Ben Clausen has done and is doing the Church a disservice in his employment with GRI. GRI isnâ€™t supposed to be a place where one argues that the only thing we have is blind faith in the biblical statements. GRI is supposed to be a place where scientific evidence is used to back up the biblical statements. If Ben cannot recognize this evidence, then he should be asked to move on and get his paycheck from some organization that is more in line with his personal views and blind faith. The bottom line is that if physical evidence is irrelevant anyway, given Clausen’s claim that all that is really needed is “faith” regardless of the fact that all evidence is against us, there really is no point in funding an organization like GRI. Really, what’s the point if it really doesn’t matter what the actual evidence does or does not tell us? – if all we really need is “faith” when the science, all the evidence, is so overwhelmingly against such ludicrous folly? 1. Have I found the synthesis between the Bible and geology? No, just more unresolved issues. 2. Should we downplay geology? No, the rocks have a story to tell. 3. Should we give up our faith when there is conflict? No, faith is not based on empirical evidence (Hebrews 11:1, 2 Corinthians 5:7). 4. Why is there a conflict? Incomplete understanding is part of the human condition; our God is bigger than we are. The answer lies in knowledge we do not see. Jacobâ€™s struggle and conflict is a good illustration. Genesis 32:31 (NIV) says: â€œThe sun rose above himâ€ even though he was limping. It was a sign of symbolic life after struggle. To suggest, therefore, that faith is not based on empirical evidence of any kind is to suggest that the Christian gospel is no more reasonable than believing in a flat Earth or Dawkinsâ€™ Flying Spaghetti Monster, or Santa Claus or garden fairies. This notion is completely ridiculous in my opinion â€“ not at all helpful as a solid rational basis for actually believing in the reality of the Gospelâ€™s message of hope. Radiometric dating methods are not all we have to estimate elapsed time. There are all kinds of other methods to evaluate the passage of time â€“ to include erosion rates, molecular decay rates, sedimentation rates, real time mutation rates, bioturbation rates, etc. Beyond this, if the overwhelming weight of evidence is against you, why on Earth do you believe like you do? What is your basis for belief beyond some emotional need for a particular story to be true? And, where is the confidence to be found in a blind-faith emotion-driven belief system? Gibson is mistaken to think that various views of history are not in any way testable in a falsifiable manner and are therefore not empirically based. There is plenty of physical empirical evidence to support the biblical model of origins which is both testable and potentially falsifiable and is therefore scientific. The statement, yet again, that â€œfaithâ€ is all that we have is nonsense. Blind faith, devoid of any backing by empirical evidence, is completely worthless as a basis for a real solid hope in the future. Richard Dawkins, William Provine, and others like them, are correct to note that such appeals to â€œfaithâ€ are no more useful to the believer than is essential atheism when it comes to a rational understanding of reality. July 31, 2010 in LSU, Theological. For anyone who is familiar with the range of geological, geochronological, and paleoenvironmental data now available, this statement on its face is so obviously absurd that any rational individual could reasonably conclude that Dr. Pitman is either so totally and completely blinded by his ideology to the point that his critical facilities are simply non-functional or he has been for so long off on a gigantic spoof and is enjoying how many people are taking his statements seriously, that he canâ€™t stop now. Regretfully, if he wants to try to keep the spoof going, he is going to have to continue coming up with new elaborate and creative explanations for why perhaps, at best, 5% of the scientific data support his statements, and 95% do not. But one must give him credit for his extraordinary ability to throw rhetorical dust in the eyes of his readers. In some respect, his ability to accomplish this is even more effective for many people (especially those that post on this blog on a regular basis) than the rhetoric coming from the pen of my good friend, Clifford Goldstein in his column in the Adventist Review. As a GRI scientist, Dr. Ben Clausen is doing the church a great service in being honest about the real nature of the scientific evidence. This is coming from an ardent evolutionist who strongly believes in the conclusions of modern scientists as “overwhelming” and yet goes around telling everyone that he is in fact a “Seventh-day Adventist in good and regular standing”. This is coming from someone who publicly admitted, on the stage of the Loma Linda University Church in 2006, that he wouldn’t know what to tell his own granddaughter if she asked him for evidence of God’s existence. This is like saying that you know the overwhelming evidence is that the Earth is spherical but you are still a member of the flat-Earth society in good and regular standing just the same – and support those who wish to obtain a paycheck from the flat-Earth society while going around telling everyone that all the available scientific evidence overwhelmingly shows the Earth to be a sphere (though some still believe it to be flat just the same because of “faith” in their holy texts which clearly say that the Earth is flat regardless of the evidence to the contrary). So, why call yourself a flat-Earther if you really don’t believe in a flat-Earth? – if you really believe that the Earth is a sphere? You like the society of flat-Earthers so much that you take on the name but not the belief? What’s the point? If you apply this sort of logic to your science, it is no wonder that you are so overwhelmed with the conclusions of most modern naturalistic scientists while somehow ignoring the otherwise overwhelming problems with their conclusions on origins – to include their lack of ability to detect the need for intelligent design behind the extremely high-level ordered complexity that is evident in even the most simple living thing or the extreme fine tuning of the universe itself needed to support complex life. While it is fine for you to hold such positions in this free country of ours (contrary to the clearly stated position of the SDA Church on origins and the Church’s request that all paid representatives actively support the Church’s position), don’t expect for the SDA Church to pay you or anyone else who holds opinions like yours, to include Ben Clausen, for your ideas. Don’t even expect to get paid for promoting the idea that we “have nothing but faith” with which to believe the Bible since the huge weight of science is against us. As far as I’m concerned, you can and should preach such things on someone else’s dime. It is not morally right for someone with such opinions to expect to take a paycheck from any organization while fundamentally undermining that organization’s goals and ideals – even if they do happen to be the silly flat-Earth society. It isn’t right to steal money even from crazy people – to produce a product contrary to what someone is actually paying for. P.S. Note the irony of someone working for the GRI (an institution developed by the SDA Church in order to present physical evidence to support the Church’s position on origins) claiming that physical evidence is not necessary to believe in the SDA position on origins – that only faith is required. If only faith was required, contrary to all available physical evidence, what’s the point of even having an institution like the GRI? Why waste money to present physical evidence when such evidence is completely irrelevant? Might one solution be for you to seek work, even on a part time contractual basis, at the GRI or LSU? LSU and the GRI are Adventist institutions, not secular ones. Their scientists are Adventist scientists, not secular ones. It appears as if the science taught and researched at these Adventist institutions is in opposition to yours. Is the answer really to entirely purge those institutions of their personnel? Why not try to persuade them of the veracity of your science from within rather than try and force those individuals out of the church? If your scientific views are right surely they will prevail by rational appeal to Adventists rather than purging well meaning scientists in opposition. Conversely, I oppose anyone that would try to purge you from the church for your work or scientific viewpoint. I think your work is informative and important, even if it’s ultimate value might be to challenge indoctrinated positions on evolution rather than overturn it. You have certainly made me investigate evolution much more deeply rather than just blindly accept it as accepted mainstream science! But if the church splits or loses credibility because all it’s scientists don’t agree then I think the SDA is in danger of marginalization. I hope for all your sakes this does not happen. Erv’s response is no surprise. Same ol’ same ol’. But it is worthy (one-more time) of response. I would suggest that most if not all of the “scientific data” that supports evolution falls under level III and maybe II-3. I am not aware of any properly designed randomized controlled trials in evolution. However, since you must be more trained than I you can send me the link to them in google scholar. Now for my next trick, I will list for you all of the medical recommendations in the last 20 years that were based on better evidence (level II) that have been shown to be completely wrong by evidence level I. Based on this I should be more confident withholding estrogen replacement therapy in post menopausal women (leel I evidence) than in believing the theory of evolution (level ?). The level of evidence is just not there. While it is fine for you to hold this position, donâ€™t expect for the SDA Church to pay you or anyone else who holds opinions like yours, to include Ben Clausen, to promote your opinions to us or our young people. Sean, are you asserting that Ben Clausen is yet another thief, stealing from the Church, because he is undermining a fundamental doctrine? And are you saying the same for Ronny Nalin and Jim Gibson? Thieves? I’m not trying to block anyone from attending the SDA Church. However, expecting a paycheck from the SDA Church is a whole different story. 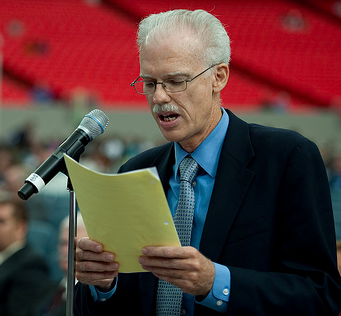 The science taught and the conclusions of the research presented by those who support the mainstream conclusions of the scientific community at large are not just in opposition to my own views; they are in opposition to the foundational goals and pillars of the SDA Church as an organization – an organization which pays the salaries of these people who are in public opposition to the clearly stated position of the Church. As far as persuasion goes, it doesn’t often work for someone whose mind is already made up. This is why we do no hire Catholic priests to pastor our own SDA churches if they remain convinced that Catholic doctrine is superior to our own. Likewise, there is no point in continuing to pay the salaries of those who are ardently convinced that the SDA Church is clearly mistaken in certain of its fundamental views while waiting until they become convinced to the contrary. That suggestion simply makes no sense. Your suggestion that if the SDA Church does not go along with mainstream science that it is in danger of “marginalization” should be irrelevant to the Church. The Church should not present ideas as the “truth” simply because they are popular. After all, a great many spiritual leaders throughout history were not popular in mainstream society, to include scientific circles. Yet, they were right and spoke the truth as God gave them to speak it – regardless of any fears of marginalization. The real fear of the SDA Church should be that if it starts allowing the promotion of just any idea from the pulpit or classroom that it will rapidly decay into irrelevance. What’s the point of having an organization if it really has nothing unique to offer compared to society at large? I’m not sure it makes a whole lot of sense to fire someone but still say they belong. Correct me I’m wrong, but wasn’t Desmond Ford disfellowshipped because he was advocating a position contrary to fundamental beliefs? Aren’t you saying that the science that the LSU biology department is teaching and the positions that the above quoted GRI scientists are advocating is contrary to FB#6? If in your opinion this is apostasy how can these scientists remain in the church? This, in my humble agnostic opinion seems Inconsistent and incongruent. Also I was not suggesting that if your church did not go along with ‘mainstream science’ it was in danger of being marginalized. Rather I referred to ‘it’s’ (SDA’s) scientists. The analogy would be like the SDA going into court, and contradicting it’s own lawyers before the judge. That does happen upon occasion but usually the client’s credibility is damaged beyond repair. I’m afraid this is what will happen if you start firing scientists like Dr. Clausen and Dr. Nalin. “teaching for doctrines the commandments of men” (evolution) nullifies the special place of the seventh-day because it nullifies the act of Jesus that gave it holiness: creation. I realize that using this argument is of no effect to those that disagree because I doubt the sway that devine inspiration would have on those that already question the fundamental beliefs of this church. For those of whom the writings Ellen White hold authority, I simply repost for our edification and blessing. @ Roger Seheult: I’m not Dr. Taylor and don’t wish to speak for him (I anticipate he’ll ignore your post), but I can’t resist your challenge. Are you serious? Do you really believe that geology, paleontology, biology, and physics studies conform to the same structure as medical studies, allowing for the same ranking scheme of evidence? Cohort, case-control, double-blind, placebo-controlled, and clinical trials…I suspect the rocks would object! I wonder whether these scientists whom you and others impugn properly use Informed Consent, or bother to gain approval from their Institutional Review Board before beginning their work? I would suggest that most if not all of the â€œscientific dataâ€ that supports evolution falls under level III and maybe II-3. I am not aware of any properly designed randomized controlled trials in evolution. However, since you must be more trained than I you can send me the link to them in google scholar. Please, as someone who attempts to write with authority about evolution, you really ought to pick up a few leading journals in these disciplines sometime. It wouldn’t hurt for you to learn something about that which you are writing about. You should start with journals that include EVOLUTION in the title, but there is no reason to stop there. Of course, I’m biased by my profession, but I suggest you consider some articles in biology that examine natural selection and genetic drift–two primary mechanisms of evolution. I don’t know how to say this kindly, so I’ll use Sean Pitman’s style: you have no idea what you are talking about. None whatsoever. It’s a heck of a lot easier to get level I evidence from just about anything other than humans, and the majority of articles in the leading journals have nothing less than that. Certainly thousands–and I’d wager tens of thousands–of such studies every year. Unless, of course, you think “evolution” refers only to abiogenesis (let’s not go there). You can use Google Scholar as well as anyone to check this for yourself. And while you’re at it, please find us some links for level I evidence that support a 6-day creation, the origin of life less than 6001 years ago, the origin of humans from a pile of dirt, or the impossibility of a reptile evolving into a bird (Sean’s “fsaar” claims don’t count as they remain unpublished for reasons only he can explain). I’d LOVE NOTHING MORE than to see you dig up something, and I seriously mean this. And as a gentle reminder, please understand that I’m a Seventh-day Adventist Young-Earth Creationist myself (thouogh not because of overwhelming evidence, but for reasons that get mercilessly denigrated here). I’m also not a denominational employee (thank God); in other words, I’m a big-time sinner but not a thief within your ranks. So if you must, please go after my message rather than the messenger. Better yet, take up my challenge. R Olendorf, FH Rodd, D Punzalan, AE Houde, C Hurt, DN Reznick, KA Hughes. 2006. Frequency-dependent survival in natural guppy populations. Nature 441, 633-636. The maintenance of genetic variation in traits under natural selection is a long-standing paradox in evolutionary biology. Of the processes capable of maintaining variation, negative frequency-dependent selection (where rare types are favoured by selection) is the most powerful, at least in theory; however, few experimental studies have confirmed that this process operates in nature. One of the most extreme, unexplained genetic polymorphisms is seen in the colour patterns of male guppies (Poecilia reticulata). Here we manipulated the frequencies of males with different colour patterns in three natural populations to estimate survival rates, and found that rare phenotypes had a highly significant survival advantage compared to common phenotypes. Evidence from humans and other species implicates frequency-dependent survival in the maintenance of molecular, morphological and health-related polymorphisms. As a controlled manipulation in nature, this study provides unequivocal support for frequency-dependent survivalâ€”an evolutionary process capable of maintaining extreme polymorphism. Excellent work. Hard to refute. Nothing anti-Bible, anti-creation about it. Evolution happens. Sorry for any confusion; the last few comments beginning with “Excellent work” were mine and should have been separated from the abstract. As a controlled manipulation in nature, this study provides unequivocal support for frequency-dependent survivalâ€”an evolutionary process capable of maintaining extreme polymorphism. Tell me where in this article the authors point to anything qualitatively new evolving within the gene pool of options? The only thing changing here are relative frequencies of phenotypic expression of the underlying unchanging pool of options; the actual gene pool of functional options does not change or evolve here. 1. n, the number of letters in the sequence. 2. Ex, the degree of function x of that sequence. In the case of the fire example cited above, Ex might represent the probability that a local fire department will understand and respond to the message (a value that might, in principle, be measured through statistical studies of the responses of many fire departments). Therefore, Ex is a measure (in this case from 0 to 1) of the effectiveness of the message in invoking a response. What is also interesting is that Hazen et. al. go on to note that, “In every system, the fraction of configurations, F(Ex), capable of achieving a specified degree of function will generally decrease with increasing I(Ex).” And, according to their own formulas, this decrease is an exponential decrease with each linear increase in I(Ex). Iâ€™m not sure it makes a whole lot of sense to fire someone but still say they belong. Correct me Iâ€™m wrong, but wasnâ€™t Desmond Ford disfellowshipped because he was advocating a position contrary to fundamental beliefs? Arenâ€™t you saying that the science that the LSU biology department is teaching and the positions that the above quoted GRI scientists are advocating is contrary to FB#6? If in your opinion this is apostasy how can these scientists remain in the church? This, in my humble agnostic opinion seems Inconsistent and incongruent. If Desmond Ford wanted to attend my own Church here in northern California, I’d have no problem with that as long as he wasn’t disruptive to the service or as long as he didn’t use my Church as a platform to present his contrary ideas. I’d have no problem with his general attendance, but I would have a very big problem with him becoming an officially recognized representative of my Church – much less a paid representative since he by no means truly reflects many of the most basic goals and ideals of the SDA Church. In the same manner several scientists currently employed by the GRI do not represent the original purpose or perceived need for the GRI (i.e., to present physical empirical evidence in support of the Church’s position on origins). They are at odds with this original purpose. So, either the SDA Church needs to dissolve GRI or it needs to replace those scientists who are at odds with the Church’s purpose for GRI with those who are in line with this purpose. Also I was not suggesting that if your church did not go along with â€˜mainstream scienceâ€™ it was in danger of being marginalized. Rather I referred to â€˜itâ€™sâ€™ (SDAâ€™s) scientists. The analogy would be like the SDA going into court, and contradicting itâ€™s own lawyers before the judge. That does happen upon occasion but usually the clientâ€™s credibility is damaged beyond repair. Iâ€™m afraid this is what will happen if you start firing scientists like Dr. Clausen and Dr. Nalin. The analogy would be like switching lawyers during a trial to ones that can more accurately represent the client before the court. Hiring a lawyer that is fundamentally at odds with the goals and ideals of the client and who is not willing to accurately present these ideals before the court is counterproductive from the perspective of the client. Your whole argument of “credibility” is, again, irrelevant since the vast majority of the mainstream scientific community thinks anything but mindless naturalism simply isn’t tenable or rational or credible. Most of the religious ideals of the SDA Church are considered to be quite foolish from the secular perspective. From this perspective religious isn’t remotely “credible” to start out with. This is why the Church should never seek to be viewed as credible from the secular mindset. That would be counterproductive for the Church. The only way the Church’s position is going to be viewed as credible or remotely logical is for a person’s mindset to be reset – completely changed to an entirely different perspective. Without a heart open to religious ideas the mind will reject the most direct evidence of God, His existence, and His personal care and interest for mankind – as did the thought leaders in Christ’s day who rejected the most amazing evidence provided by God; even the resurrection of the dead before their very eyes. Scientific investigations and interpretations will be warped against their otherwise obvious implications. Subjective interpretations are an integral part of science. The original motive of the scientist strongly affects his/her interpretation of the available data. Science is not some cold hard process of discovering truth that is devoid of the personal passions and motives of the scientist. This is why the background experience and motives of the scientist will always come into play… The same thing is true of religion. We all have our biases. It is good to at least be aware that such biases do exist within ourselves and within others – to include scientists who may seem to come across as Spock-like creatures but who are in fact just as prone to personal subjective bias as are the rest of us. Tell me where in this article the authors point to anything qualitatively new evolving within the gene pool of options? Um…the issue was quality of evidence. Wonderful experimental design–and in the field no less. If you say so (although the authors reach a different conclusion). Umâ€¦the issue was quality of evidence. Wonderful experimental designâ€“and in the field no less. The statement of yours that I was responding to, in particular, was your assertion that “evolution happens”. Without qualification, this statement is meaningless. There was no functional gene pool evolution described by these authors at all. The gene pool itself remained the same. So, your statement that “evolution happens” certainly isn’t referring to any kind of functional change within the underlying gene pool itself – much less a high-level change in qualitatively novel functional complexity. Not beyond the level of systems requiring at least 1000 specifically arranged amino acid residues they don’t. These authors only deal with very small systems well less than 100aa in size. Do you really not understand the implications of their formula for the ratio of beneficial vs. non-beneficial sequences in sequence space? – extrapolated for higher and higher level systems? Do you not see the exponential decline in this ratio? Tell me, what implications, if any, do you see that this formula has regarding the likely success of RM/NS at higher and higher levels of functional complexity as defined by Hazen et. al.? In the same manner several scientists currently employed by the GRI do not represent the original purpose or perceived need for the GRI (i.e., to present physical empirical evidence in support of the Churchâ€™s position on origins). They are at odds with this original purpose. So, either the SDA Church needs to dissolve GRI or it needs to replace those scientists who are at odds with the Churchâ€™s purpose for GRI with those who are in line with this purpose. There is simply no other viable option. So, if you can’t produce the science to support creationism, you either dissolve the GRI so that they are no longer an embarassment to the Church, or you replace them with scientists who you think can produce the science that so obviously can be done. Have you written the GC to tell them your considered opinion? It is good to at least be aware that such biases do exist within ourselves and within others â€“ to include scientists who may seem to come across as Spock-like creatures but who are in fact just as prone to personal subjective bias as are the rest of us. I assume this excludes “creation scientists” (although I once met one with big ears). Do you really not understand the implications of their formula for the ratio of beneficial vs. non-beneficial sequences in sequence space? Tell me, what implications, if any, do you see that this formula has regarding the likely success of RM/NS at higher and higher levels of functional complexity as defined by Hazen et. al.? Exactly what the authors stated: â€œIn every system, the fraction of configurations, F(Ex), capable of achieving a specified degree of function will generally decrease with increasing I(Ex).â€ I don’t put any weight in your extrapolation. Why don’t you correspond with Hazen and see if he agrees with you? When will your paper be submitted to a quality journal? Talk is cheap, though very convincing to those who have blind faith in Sean Pitman. Unfortunately, only a select few talks are made available. What’s up with that? Were the remainder an embarassment to the Church? I wanted to at least hear Clausen and Nalin and Gibson’s talks to judge them for myself! The statement of yours that I was responding to, in particular, was your assertion that â€œevolution happensâ€. Without qualification, this statement is meaningless. There was no functional gene pool evolution described by these authors at all. The gene pool itself remained the same. So, your statement that â€œevolution happensâ€ certainly isnâ€™t referring to any kind of functional change within the underlying gene pool itself â€“ much less a high-level change in qualitatively novel functional complexity. Okay. Here is another study, same investigator, top-tier journal, field experiment, gene pool changes measured. Delightful study. One minute with Google, searching but one author. Evolution happens. What’s so God-awful about this? DN Reznick, FH Shaw, FH Rodd, RG Shaw. 1997. Evaluation of the Rate of Evolution in Natural Populations of Guppies (Poecilia reticulata). Science 275, 1934-1937. Natural populations of guppies were subjected to an episode of directional selection that mimicked natural processes. The resulting rate of evolution of age and size at maturity was similar to rates typically obtained for traits subjected to artificial selection in laboratory settings and up to seven orders of magnitude greater than rates inferred from the paleontological record. Male traits evolved more rapidly than female traits largely because males had more genetic variation upon which natural selection could act. These results are considered in light of the ongoing debate about the importance of natural selection versus other processes in the paleontological record of evolution. I have been following this thread of posts and most of the others since the beginning of this website. I have experienced a whole range of emotions from anger to sadness to disdain and thankfully even hope, and have learned much in the process about God’s people and often wondered how it is that He continues to love us so. As someone who has stood for truth no matter the cost, I sincerely thank you for all you are willing to endure. May the Lord continue to give you strength, wisdom, understanding and PATIENCE . You have certainly been called to serve in such a time as this. This worries me. Do we think that the theory of relativity is biased because of Einstein’s Jewish background? Do we think that evolution might have a bit of Anglican bias because of Darwin’s background? The goal of science and scientists is to be objective This is why men like Dr.Clausen should be admired and have credibility. He is making his findings, independent and irrespective of his faith, not because of it. In order for science to have a rational basis, thus universal credibility, it must not concede that ” Subjective interpretations are an integral part of science” Otherwise it will become wagged by the tale of religion or atheism and lose its virtue. Science ‘is’ a cold, hard process of discovering truth. That ‘is’ its great virtue. Do some scientists, because they have biases and subjectivity, fail in the pursuit. Absolutely. The good ones recognize the bias and attempt to correct or remove it. Otherwise it will be routed out in time by future, relentless, objective inquiry. Sean, I value your scientific inquiry – irrespective, not because of your faith. Are you saying that all of your research and work is entirely subjective to your faith? I’m OK with that but I need to know how to appraise your work from my agnostic viewpoint. As always, thanks for the considerable amount of time and energy you devote to this frorum. I understand and appreciate your point. Which creation scientists with professional qualifications do you recommend be hired at the GRI? Are there other experts in nuclear physics and radiometric dating that could replace Dr.Clausen at the GRI? You are citing studies to demonstrate that change happens. I suspect that all of us who object to the teaching of evolution as the answer to our origins would agree that change happens. So the studies you cite are quite irrelevant to the subject under discussion. What would be more impressive would be the citing of studies that demonstrate that organisms evolve characteristics that demonstrate the evolving of new information. Please do help us with that. Science â€˜isâ€™ a cold, hard process of discovering truth. That â€˜isâ€™ its great virtue. Do some scientists, because they have biases and subjectivity, fail in the pursuit. Absolutely. The good ones recognize the bias and attempt to correct or remove it. Otherwise it will be routed out in time by future, relentless, objective inquiry. Kuhn, Thomas (1977). The Essential Tension: Selected Studies in Scientific Tradition and Change. University of Chicago Press. pp. 320â€“39. For this reason then, the conclusions of scientists are not entirely “objective” in the usual sense of the word because individual scientists reach different conclusions while using the very same criteria. According to Kuhn, this phenomenon is due to a valuing one criterion over another or even the inclusion of additional criteria for various subjective reasons. Some might suggest then that without real objectivity in science the comprehension of “truth” is completely relative – dependent upon the biases of the individual where each individual’s ideas, even if opposing, are equally valid or invalid. 2.	all frameworks are equally legitimate because they are only to be criticized on the basis of internal criteria. There is, fortunately, another perspective on truth that, while recognizing the subjective element involved with all searches for truth, also recognizes the idea that the truth, itself, has an absolute or objective existence. It is the search for the truth that has a component of subjectivity while the truth itself is solid, real, unchanging regardless of perspective, and objective. In this sense, while truth is objective and real, it cannot be fully realized by the subjective searcher. Yet, truth can at least be approached or approximated to a useful degree. This concept is known as “soft relativism”. Soft relativism accepts that the search for truth is affected by the subjective framework or background of the searcher but denies the notion that all frameworks can only be criticized on the basis of internal criteria. In other words, real independent information is provided by the actual world that exists outside of the mind which can be used to judge, to a useful degree, the legitimacy of different competing theories. If useful science requires testing and potential falsifiability, hard relativism is an indefensible self-contradictory position for any true scientist who hopes to say anything generally useful about the “reality” of the world or universe in which we all live. As an aside, Kuhn, in particular, seems to have been more of a softâ€”not a hardâ€”relativist. Thus, a more promising defense of qualitative science may be found in a soft-relativist interpretation of Kuhnâ€™s analysis of the nature of scientific discovery. WAIT A MINUTE, things appear to be going around in circles here. Dr Pitman suggests that someone is wrong for “claiming that physical evidence is not necessary to believe…that only faith is required”? Didn’t Jesus, when he appeared to the group when Thomas was present, scold Thomas for needing evidence (to stick his fingers in Christ’s wounds) in order to believe? Few of us get the Joy Davidman (C.S. Lewis’s wife) experience, so we must rely on faith, while looking for Christ’s working in our lives. I had to look GRI up. I doubt the average Adventist knows what it is, never mind being aware of this La Sierra issue–which is West Coast to us East Coasters. (I know a conservative, vegan, West Coast Adventist, for example, who goes out regularly to eat on Sabbath, but that’s another issue.) Anyway, the GRI web paged says that GRI “uses both science and revelation to study the question of origins because it considers the EXCLUSIVE USE OF SCIENCE AS TOO NARROW AN APPROACH.” Therefore, GRI examines the scientific evidence (which is not the final evidence but only an inicator) while relying on faith. Respectfully sumitted,…Interesting reading, but I’m sending 20 bucks to La Sierra because I think the issue has been slanted and La Sierra has been libeled. Okay. Here is another study, same investigator, top-tier journal, field experiment, gene pool changes measured. Delightful study. One minute with Google, searching but one author. Evolution happens. Whatâ€™s so God-awful about this? I donâ€™t put any weight in your extrapolation [regarding the Hazen formula for exponential declining ratios of beneficial vs. non-beneficial with increasing minimum size requirements]. Why donâ€™t you correspond with Hazen and see if he agrees with you? When will your paper be submitted to a quality journal? Talk is cheap, though very convincing to those who have blind faith in Sean Pitman. I’m not asking for blind faith in my ideas. I’m asking you to evaluate them for yourself and get back to me with your own arguments. It is very easy to simply let someone else do your thinking for you. Just because you believe the conclusions of some peer review panel doesn’t mean that you have a personal understanding of the arguments in play. Until you do, all you have is an appeal to your preferred authority. In other words – blind faith devoid of any personal understanding or logical reasoning on your part. And while youâ€™re at it, please find us some links for level I evidence that support a 6-day creation, the origin of life less than 6001 years ago, the origin of humans from a pile of dirt, or the impossibility of a reptile evolving into a bird. Anyone care to help Roger out? What would be more impressive would be the citing of studies that demonstrate that organisms evolve characteristics that demonstrate the evolving of new information. Please do help us with that. The antedeluvians had longevity (900+ years) that might have allowed them to conduct such experiments. I’m not aware of any humans that currently live long enough for an experiment to demonstrate substantive change. But…I would not be surprised to find such a study regardless…if I had the time (which I do not right now). One should be cautious not to underestimate the capacity of biological change; and humility is a Godly trait. Besides, all this is irrelevant for someone who doesn’t need evidence – only “faith”. …You have certainly been called to serve in such a time as this. Exactly. outside of faith, non faith or the subjective bias of the individual. That’s objectivity. In reading through Chuck’s article, I find it hard to understand his ultimate goal. At what point would Chuck be satisfied? – if all would read the Bible as nothing more than a collection of good moral fables? Ever hear of the concept of “present truth”? Exactly. outside of faith, non faith or the subjective bias of the individual. Thatâ€™s objectivity. You misunderstand the concept argued by Kuhn here. Just because objective reality may exist does not mean that it can be understood with equal objectivity by subjective creatures like you and me – subject in our understanding of objective reality via the incomplete interpretation of that reality as it is given to us to perceive it in a limited way. Because of such limitations there is always a subjective component to our understanding. That is why scientific conclusions are always subject to potential falsification and why they can never be known, with perfection, to truly represent objective reality. WAIT A MINUTE, things appear to be going around in circles here. Dr Pitman suggests that someone is wrong for â€œclaiming that physical evidence is not necessary to believeâ€¦that only faith is requiredâ€? Didnâ€™t Jesus, when he appeared to the group when Thomas was present, scold Thomas for needing evidence (to stick his fingers in Christâ€™s wounds) in order to believe? Few of us get the Joy Davidman (C.S. Lewisâ€™s wife) experience, so we must rely on faith, while looking for Christâ€™s working in our lives. Thomas was not without evidence. He had the witness of many of his closest and most reliable friends in the world. He also had the testimony of Christ Himself who said that He would be raised to life on the third day. To top all of this off, he had personally seen Jesus raise people from the dead and had seen innumerable other miracles supporting Jesus’ claim to be the Son of God. Therefore, Jesus was not asking Thomas to have blind faith in spite of all evidence. Jesus was asking for faith to be placed on the available weight of evidence – not direct demonstration. I had to look GRI up. I doubt the average Adventist knows what it is, never mind being aware of this La Sierra issueâ€“which is West Coast to us East Coasters. (I know a conservative, vegan, West Coast Adventist, for example, who goes out regularly to eat on Sabbath, but thatâ€™s another issue.) Anyway, the GRI web paged says that GRI â€œuses both science and revelation to study the question of origins because it considers the EXCLUSIVE USE OF SCIENCE AS TOO NARROW AN APPROACH.â€ Therefore, GRI examines the scientific evidence (which is not the final evidence but only an inicator) while relying on faith. We would do well not to put too much faith in Larry Geraty’s reporting of what was said. In part I of his three part series, he said that Lee Spencer “stated that God definitely created the dinosaurs . . .” I just listened to Spencer’s 17 minute presentation, and he said God “probably” created the dinosaurs. That’s an important distinction that Geraty got wrong. I also suspect the word used in Nalin’s talk was “mystical” not “mythical.” Having a “mythical” experience doesn’t make any sense, but people sometimes claim to have a mystical experience. Also be aware that Geraty has a bias and probably overemphasized anything that he perceived to be a concession to mainstream science. In reading through Chuckâ€™s article, I find it hard to understand his ultimate goal. At what point would Chuck be satisfied? â€“ if all would read the Bible as nothing more than a collection of good moral fables? As most of you probably already know, Chuck Scriven, like Erv Taylor and other liberals, is a master at setting up “straw-man” arguments and then educating us “fundamentalists” on how we are so wrong in everything we do. Read his article for yourself, point by point. Sam Pipim describes these characters in his books very eloquently. Thanks for your further comments on the topic. I respectfully, and emphatically disagree. Do we conclude the world is round subjectively? Is the law of gravity subjective? Simply because we cannot perceive or understand all of reality does not mean we are not achieving objective milestones along the way. The fact that there is more of reality that we have scientifically investigate does not impair the objective scientific conclusions determined to date. When it comes to reality I think you might be confusing subjectivity with finality. All scientific theories, even laws like the law of gravity, are subject to potential falsification precisely because they cannot be perfectly known to be true. Surprising as it may sound for those who have never considered such thoughts before, scientific methods of understanding the world that exists outside of the mind are incapable of absolute demonstration or perfection. Why? Because, as long as we do not have all pertinent information, which we never do, we remain subject to potential error in our conclusions. The reason why we do not have all the pertinent information is because we are subjective creatures. We are subject to the limited information the universe is telling us about itself through the limited medium of our senses and to our own limited reasoning capabilities. Because of these very limited subjective elements involved in understanding our surroundings, we can never be absolutely sure that we understand correctly. There is always an element of potential error – always. Well, Sean, you need to understand the spiritual mentality of this modern anti-bible agenda. For the most part, it is this….. This allows them total freedom from any objective bible teaching to advocate any view they please with the idea their understanding is as good as anyone elses. So, if you dialogue with these individuals, keep this in mind and you will save yourself a lot of grief wondering how and why they advocate some of their wild views that in many cases are simply senseless. The more convoluted they can make it appear, the better it suits their agenda. Schools of philosophy and psychology have long debated the value of thoughts and ideas by the nature of approach to their investigation. It would seem that the validity of concepts, ideas and information is often judged by our notion of which of these classifications it is deemed to fitâ€”Subjective or Objective. To attempt any understanding of these attitudes or arguments, it is first necessary to find a suitable definition of these terms. Websterâ€™s New World Collegiate Dictionary provides some interesting insights into the vast diversity of what our language has come to signify by these terms. Subjective: relating to or determined by the mind as the subject of experience; characteristic of or belonging to reality as perceived rather than as independent of mind; phenomenal; arising out of or identified by means of oneâ€™s awareness. In short Sean, what I am referring to as objective reality is that which is observable or verifiable by independent scientific methods, not methods seen through the prism of faith or atheism. I see faith or atheism as subjective because they are reality as personally believed, as opposed to observed or tested by independent scientific methods. I understand and appreciate your point that it is virtually impossible to rule out all human bias. Point graciously conceded. But I think relentless scientific methodology overcomes these human short comings over time. Did we learn more about gravity from Newton to Einstein? From Einstein to Hawkings? I think so, yet I think all of them were being objective in their observations at the time. However if I was to argue too strenously and not consider the merits of your position, I would lose my objectivity. Thus I’ll let our gentle readers way in further on the matter. In short Sean, what I am referring to as objective reality is that which is observable or verifiable by independent scientific methods, not methods seen through the prism of faith or atheism. I see faith or atheism as subjective because they are reality as personally believed, as opposed to observed or tested by independent scientific methods. Scientific conclusions or beliefs as to what is and is not real or true require a component of faith. Every scientific hypothesis or theory requires a leap of faith to at least some degree before it can be accepted as “true”. The reason for this required faith, as previously explained, is because science is always based on incomplete information. Scientific conclusions are always less than perfectly knowable. While you may believe in objective realities that exist outside of your mind, your understanding of these objective realities always includes a component of faith that your current understanding is actually correct. This is because there is always a component of your own subjectivity involved in the interpretation of the limited evidence your mind perceives through your limited physical senses and mental capabilities. Iâ€™ve given you the evidence showing how extremely unlikely it is for anything beyond very low levels of functional complexity to evolve this side of trillions of years of time. You claim that you do not understand this evidence, or other evidences provided, and need to see it pass the peer review of ardent evolutionists before youâ€™ll be able to understand. Donâ€™t hold your breathâ€¦ Besides, all this is irrelevant for someone who doesnâ€™t need evidence â€“ only â€œfaithâ€. I am sorry to dissapoint you people, but I simply do not have faith in Sean Pitman’s claims. He has not convinced any knowledgable peers, and if he is unable or unwilling to submit his calculations and conclusions to those who are able to evaluate them, then they can be accepted only on BLIND FAITH. I don’t believe there is a single reader here, myself included, well enough informed about the basis of his calculations, much less the calculations themselves, to judge their veracity. On what basis would YOU accept his claims if you are unable to evaluate the evidence for yourself? Sean has told all of us repeatedly that BLIND FAITH is equivalent to belief in Santa Claus, the Tooth Fairy, and the Flying Spaghetti Monster. If ANYONE believes Sean’s claims, they have accepted them solely, and I mean SOLELY, on BLIND FAITH. Are all of you so gullible? Why would anyone say that unless they wanted to leave the door open for theistic evolution and a non-literal, poetic reading of Genesis? 4. The General Conference in Session motion to amend belief #6 to read more explicitly. The bottom line is that Scriven and his ilk are in opposition to the denomination at large. The denomination’s emphasis on ‘fundamental’ beliefs (fundamentalism) is contrary to their ‘progressive’ agenda to liberalize and radically alter the church’s theology. Their liberal theology is contrary to the theology of the majority of the church’s membership and leadership. Theirs is in fact a dangerous movement which proclaims Orthodox Adventism to be dangerous! Alchemists asked for evidence that lead does not turn into gold, and that the mythology of spontaneous generation was in fact false. One might want to “show them” that it does not happen when you test it in the lab – but they could always respond “yes but if you tried that experiement for a billion years maybe then one of those tests would prove we are right” and then with great confidence assert – as our evolutionist friends today assert regarding “birds come from reptiles” story telling – that they have “seen no science” that they would take as evidence that their hoefull story telling is not “true” in some as yet to be discovered “future” experiement. Thus they approach their support for evolutionist dreams from the by faith alone standpoint of “religion”. And who are we to try to “change their religion”. I donâ€™t believe there is a single reader here, myself included, well enough informed about the basis of his calculations, much less the calculations themselves, to judge their veracity. On what basis would YOU accept his claims if you are unable to evaluate the evidence for yourself? Sean has told all of us repeatedly that BLIND FAITH is equivalent to belief in Santa Claus, the Tooth Fairy, and the Flying Spaghetti Monster. If ANYONE believes Seanâ€™s claims, they have accepted them solely, and I mean SOLELY, on BLIND FAITH. Are all of you so gullible? I beg to differ on a few grounds. 1. The follwoing point in Sean’s argument is incredibly easy to grasp. hmm “the actual gene pool of functional options does not change or evolve here.” would be a problem for the evolutionst that is “apparent to all”. It is very easy to see that C^n increases as n increases. hint: It is also easy to see that it is a denominator. It is also apparent that the -log 2 function is a larger negative for smaller values of C^n and/or larger values of M(EX). 3. Obviously – any given F(EX) subsegment of the whole logically becomes a smaller part of the whole as the domain increases. Again – not sure why you think that part is the challenge since it is apparent on the surface that with a large result set any given fraction of it is clearly a small fraction of the total as the total increases. If someone hands 10 people a dollar they each of 10% of the total. If they had a billion people a dollar – each person is still getting a dollar – but it is a much smaller fraction of the total. Not sure why you choose to debate that part of the argument. In the example provided is one for firemen and “a message” to the fire department we know that there is a “solution” for a sequence EX and number of letters n with 26 variations each (C) such that the message is clearly understood by the firemen. So the salient point is that when F(EX) is sufficient small – it becomes highly unlikely that the firemen are getting detailed instructions on a 3 alarm fire “by random events” happening over the communication device. Given the F(EX) problem – it is much more likely that random noise (a givevn F(EX)) coming over the computer screen or squawk box will not be taken by the firemen as “information”. By contrast – take a paper block of 6 sides with one of the sides saying “FIRE at 2315 Tunnel Blvd” and let the wind blow it into the fire department open bay — what are the “odds” that the information side might appear on top? With few variables and guaranteed success for a significant fraction of the total set of outcomes – information is much more likely as a random event. Oh the lengths one must go to – so that evolution appears “likely”. Victor, Your analysis of Scriven is totally on target. Besides deny the penal substitutionary atonement of Christ, Scriven attacks fundamentalism as if it is the incarnation of Satan himself! How [he] ever got into our denominational work, and is still collecting a paycheck, is [a mystery]! Scriven’s “arithmetic of the creation story” is one of the most heretical statements I’ve heard by someone who has been and is still employed in our denominational work. Who put the “arithmetic” into the story? Well, Chuck? You don’t like the “arithmetic?” I guess it’s not the “correct” arithmetic for you? I challenge Scriven to come on board and give us HIS “correct” arithmetic. Strange that you cannot convince those that publish the very facts you base your argument on. Very strange. Call me gullible; how charitable of you. I’m calling your bluff: you won’t publish your conclusions because you know you can’t convince those who are least gullible and in the best position (other than 3-alarm-fireman Bob) to understand them. Why not try? If you could convince them, maybe a Seventh-day Adventist creationist could win the Nobel Prize for proving, once and for all, that the evolution of increasing complexity is bogus. You won’t do it because you can’t. By the way, I like your immune system that fends off disease, including the many specific and non-specific mechanisms that God surely created because…well…they could not have evolved. May you live long as it continues to function well. 3. Obviously â€“ any given F(EX) subsegment of the whole logically becomes a smaller part of the whole as the domain increases. No kidding, Bob. What are you really saying? Hint: You trying to convince us of something the authors themselves concluded. Dr. Hazen sent me his article a long time ago. I read it. I get it. Now how do you get “fairly specified amino acids” and “sequence space” and “impossible” and, magically, “trillions upon trillions of years” from your firehose dissection of the equation? That I don’t get. Given the F(EX) problem â€“ it is much more likely that random noise (a givevn F(EX)) coming over the computer screen or squawk box will not be taken by the firemen as â€œinformationâ€…Oh the lengths one must go to â€“ so that evolution appears â€œlikelyâ€. Strange that you cannot convince those that publish the very facts you base your argument on. Very strange. Call me gullible; how charitable of you. Iâ€™m calling your bluff: you wonâ€™t publish your conclusions because you know you canâ€™t convince those who are least gullible and in the best position (other than 3-alarm-fireman Bob) to understand them. Why not try? If you could convince them, maybe a Seventh-day Adventist creationist could win the Nobel Prize for proving, once and for all, that the evolution of increasing complexity is bogus. You wonâ€™t do it because you canâ€™t. You know as well as I do that convincing someone against his/her will is essentially impossible regardless of the evidence presented. Until such ideas are actually published by those who fundamentally oppose the implications implied by these concepts, all you really have is your blind faith appeal to your preferred authority figure(s). By your own admission you have no personal understanding or argument. You also don’t seem to grasp the obvious implication of simple mathematical concepts, such as the fact that Hazen’s formulas are statements about the nature of sequence space and how the ratio of potentially beneficial vs. non-beneficial sequences changes with increasing functional complexity. By the way, I like your immune system that fends off disease, including the many specific and non-specific mechanisms that God surely created becauseâ€¦wellâ€¦they could not have evolved. May you live long as it continues to function well. youâ€™re the one who originally called everyone in this forum â€œgullibleâ€ who might question the creative potential of the evolutionary mechanism. If ANYONE believes Seanâ€™s claims, they have accepted them solely, and I mean SOLELY, on BLIND FAITH. Are all of you so gullible? You know as well as I do that convincing someone against his/her will is essentially impossible regardless of the evidence presented. Are you kidding? So now it’s “will” that drives everyone, regardless of evidence? So let me get this straight. Creationists (like you and me) should believe, not because of a plain “thus saith the Lord” (which you have repeatedly denigrated), but because of evidence. So essentially all evolutionists, which comprise the vast majority of scientists, dismiss evidence and cannot change their mind because they have a “will” which prevents them from doing so. Amazing. As Roger Seheult once put it, you are denigrating the review process when you refuse to submit your conclusions on such irrational reasoning. I think scientists are charitable enough to recognize “simple mathematics” and would concede your conclusions IF they were based only on simple mathematics–which is not the case. You go far beyond the math to get to “a minimum threshold of 1000 fsaars” and “trillions upon trillions of years,” which most EducateTruthers conveniently overlook. They want to believe, desperately, that the evidence for creation is overwhelming, and what is comes down to is nothing more than blind faith in your claims. Until such ideas are actually published by those who fundamentally oppose the implications implied by these concepts, all you really have is your blind faith appeal to your preferred authority figure(s). Curious statement from you, of all people. Why don’t you turn your finger around and point it at yourself. Until your ideas are actually published, all that EducateTruthers really have is blind faith appeal to their preferred authority figure–YOU! What do you not understand about this? Obviously, you need to be the scientist you claim to be and publish your reasoning and conclusions. Other creationists, including Adventists at Loma Linda, have the courage and the temerity to publish; why not you? Hey look, don’t take this so personally. I’m simply pointing out the subtleties of “blind faith” that others might not have considered, and I’m actually trying to help you cause by prodding you to publish. Curious statement from you, of all people. Why donâ€™t you turn your finger around and point it at yourself. Until your ideas are actually published, all that EducateTruthers really have is blind faith appeal to their preferred authority figureâ€“YOU! What do you not understand about this? Some people actually consider the arguments made on their own merits apart from the source of the arguments. In other words, not everyone bases belief in this or that idea according to the opinion of some preferred authority figure. This may work for you, but some people actually base their own beliefs on their own personal understanding of the topic at hand regardless of who else may or may not agree. Would you take a stand on anything regardless of the popular opinion of mainstream “experts”? Are you kidding? So now itâ€™s â€œwillâ€ that drives everyone, regardless of evidence? So let me get this straight. Creationists (like you and me) should believe, not because of a plain â€œthus saith the Lordâ€ (which you have repeatedly denigrated), but because of evidence. So essentially all evolutionists, which comprise the vast majority of scientists, dismiss evidence and cannot change their mind because they have a â€œwillâ€ which prevents them from doing so. Amazing. Bias plays a big part in the thinking of many mainstream scientists. There is a great deal of passion involved with this particular topic of origins that goes well beyond the evidence or the science. This is the reason why many papers are blocked from publication in mainstream journals when they suggest the need for intelligent input of any kind, much less a God or God-like power. â€œLate in my career, I did something which for a Cornell professor would seem unthinkable. I began to question the Primary Axiom [random mutation/natural selection]. I did this with great fear and trepidation. By doing this, I knew I would be at odds with the most â€œsacred cowâ€ of modern academia. Among other things, it might even result in my expulsion from the academic world. â€œTo my own amazement, I gradually realized that the seemingly â€œgreat and unassailable fortressâ€ which has been built up around the primary axiom is really a house of cards. The Primary Axiom is actually an extremely vulnerable theory, in fact it is essentially indefensible. Its apparent invincibility derives mostly from bluster, smoke, and mirrors. A large part of what keeps the Axiom standing is an almost mystical faith, which the true-believers have in the omnipotence of natural selection. â€œFurthermore, I began to see that this deep-seated faith in natural selection was typically coupled with a degree of ideological commitment which can only be described as religious. I started to realize (again with trepidation) that I might be offending a lot of peopleâ€™s religion! This very strong, even religious, bias is the reason why those like John Sanford and Michael Behe (in his The Edge of Evolution) and Stephen C. Meyer (in his recent and very interesting book, the best I’ve read so far on this topic, Signature in the Cell) opt to write books instead of publish because no one will publish their very good ideas in the mainstream literature on this particular topic. This is one reason why I’ve written my own book, Turtles All the Way Down, Questions on Origins. Now, I have had a number of my articles published in mainstream literature regarding human pathology. One of my papers was even referenced as a basis for changing the defining criteria for a form of Hodgkin lymphoma in the latest WHO hematopathology overview of hematolymphoid neoplasias. However, publishing something fundamentally opposed to the assumed creative potential of the Darwinian mechanism of RM/NS is an entirely different story. Behe’s “Irreducible Complexity” Supported in Literature? By using Avidaâ€™s default set of 26 machine instructions, a randomly generated sequence with length of a magnitude of ~10^2 lines was found to be functional (i.e., was able to perform at least one logic or arithmetic operation at least once) with probability P ~10^-3. The functional fraction of a population decreases with decreasing sequence length until it reaches zero for populations with sequences of a length of four machine instructions or less. In other words, the function of “logic or arithmetic operation” in Avida requires a minimum of more than four machine instructions. Any sequence with less than this minimum does not produce any beneficial functionality of this particular qualitative type. What this means is that for functional systems that have a greater minimum structural threshold requirement (i.e., a linearly greater “n” requirement), the ratio of beneficial vs. non-beneficial sequences at that level will be exponentially lower than it was for lower level systems with lesser minimum structural threshold requirements (according to Hazen’s exponential formula noted above). I think it is an absolute travesty if your ideas are not getting published. You deserve a forum for your ideas. As an agnostic with an open mind, is there anything I can do to help you in this regard? No kidding, Bob. What are you really saying? Hint: You trying to convince us of something the authors themselves concluded. Dr. Hazen sent me his article a long time ago. I read it. I get it. Now how do you get â€œfairly specified amino acidsâ€ and â€œsequence spaceâ€ and â€œimpossibleâ€ and, magically, â€œtrillions upon trillions of yearsâ€ from your firehose dissection of the equation? That I donâ€™t get. The basic math that you claimed was so difficult was not the mountain you painted. The number of base-pairs required to code for even the most common proteins provides a very high “n” value in that C^n componant. Taking entire codon or complete gene sequences merely compounds both n and C as compared to an arbitrary “number of base pairs” scenario. And this has to be done for the entire genome of the first eukaryotye and for every saltation of next-higher genomes one might want to imagine. You completely ignore the obvious factors driving up the C^n value – as if “somehow” you imagined the size of the problem to be at some reasonable level and your private assumptions are then supposed to be taken by the reader as “a given”. At this point Emile Borel’s observation about what is “statistically impossible” becomes instructive. My only point was – that I am merely stating the obvious. And your point seems to be repeatedly that you do not understand it. I guess if that is where the gap is — then it is what it is. Railing against my pointing this out – does not change the facts of the subject. One of my papers was even referenced as a basis for changing the defining criteria for a form of Hodgkin lymphoma in the latest WHO hematopathology overview of hematolymphoid neoplasias. However, publishing something fundamentally opposed to the assumed creative potential of the Darwinian mechanism of RM/NS is an entirely different story. Sean, I have found your six publications between 2003 and 2007. Five of those were case reports, and the sixth was based on a sample of five cases. Perhaps if you engaged in prospective studies involving randomized, placebo-controlled, double-blind clinical trials, you would have a better perspective on how to write your science to gain acceptance by mainstream scientists. I think it’s worth a try, though I suggest you leave out the handwaving conclusion, “trillions upon trillions of years.” Perhaps you could actually come up with an exact number from the formula (not holding my breath) or, to make it more palatable, express the number in terms of generations rather than years. What is also interesting, regarding the Hazen paper in particular, is that Hazen et. al. make a very interesting argument for Beheâ€™s â€œirreducible complexityâ€. 2. Show me any example of evolution in action documented anywhere in literature beyond a level of functional complexity, as defined by Hazen’s own formula, that requires a minimum of at least 1000 specifically arranged amino acid residues. Or, alternately, show me any paper detailing the statistical odds of success that the mechanism of RM/NS would be able to achieve such a level of functional complexity within a reasonable amount of time. As far as I’ve been able to find, there are no such papers or arguments. Everything is based on the assumption that sequence similarities must have been produced by RM/NS. No one, and I mean no one, stops to consider the likely time needed to produce the minimum differences requried to achieve qualitative differences in functionality beyond very low levels of functional complexity. You see, the required functional differences are what are important here; not the similarities. The similarities are very easy to explain via RM/NS – but not the functional differences beyond very very low levels of functional complexity (again, as defined by Hazen). Show me where Beheâ€™s basic argument for irreducible complexity has been refuted by anyone and why you think it has been refuted. … Show me any example of evolution in action documented anywhere in literature beyond a level of functional complexity, as defined by Hazenâ€™s own formula, that requires a minimum of at least 1000 specifically arranged amino acid residues. I am not the one saying Behe’s notions of irreducible complexity are wrong (Hazen is, among many others; and you suggested that he was supporting Behe’s argument!). I am not the one placing limits on how much complexity can or cannot evolve (you are). I am not the one making claims that the evolution of life is possible or impossible (you are). I am not the one making claims that faith is meaningless and that SDA beliefs can be supported by scientific evidence (you are). Why are you asking me to refute Behe or how long 1000 fsaars require to change? I don’t take your arguments or those of Behe or Hazen at face value, and I’m not inclined to take the time to refute them carefully. You just want to argue because that’s your thing. In your determination to prove evolutionism is wrong, you have failed utterly to prove that creationsim is right. I have asked repeatedly here for scientific proof (or any solid experimental evidence) of SDA beliefs that all major life forms were created within a 6-day period; that no life forms have been around for more than 6100 years; that a living human can be formed from dust; that a flock of sheep can instantaneously appear on a mountainside; that a virgin woman can conceive a child without sperm (other vertebrates do this; perhaps a human case is out there? ); and that Jesus was resurrected. Where is this “overwhelming” evidence? Why is the silence so deafening? You continue to assert that we don’t need faith because it is useless and, besides, our beliefs are backed by evidence. You have called for the firing of certain GRI staff because they don’t preach evidence to support these beliefs. But you can’t either! Oh, by the way, I have calculated the average time required to get beyond the 1000 fsaar level (Hazenâ€™s definition again), and it is in the trillions upon trillions of years. Sean, I am glad that you are able to make these wonderful calculations and that you sincerely believe in them. However, as much as you would like to believe otherwise, your claims are not real “science” until you publish them in a reputable science journal. They are nothing less than the opinion and conjecture of a creationist hobbyist, though they certainly bear the ring of authenticity to a Church membership that is largely lacking any kind of rigorous science background. Rather than denigrate real scientists and the peer review process by claiming that your views could never be tolerated or examined fairly by real scientists, why don’t you prove your contention by submitting your article to a reputable journal? You could post the reviews on your website or in the next edition of your book to back up your heretofore unsupported assertion. I am not the one saying Beheâ€™s notions of irreducible complexity are wrong (Hazen is, among many others; and you suggested that he was supporting Beheâ€™s argument!). Why are you asking me to refute Behe or how long 1000 fsaars require to change? I donâ€™t take your arguments or those of Behe or Hazen at face value, and Iâ€™m not inclined to take the time to refute them carefully. You just want to argue because thatâ€™s your thing. In your determination to prove evolutionism is wrong, you have failed utterly to prove that creationsim is right. Science cannot prove things right. Science can only prove things wrong. That is why the potential of falsification is a useful part of science. In order to support the validity of your hypothesis, what you do is subject it to potentially falsifying tests compared to the opposing null hypothesis. If it passes, then it gains predictive value but is never fully proven this side of eternity. As a scientist you should already know this fundamental limitation of science and basic reason why science is actually useful. I have asked repeatedly here for scientific proof (or any solid experimental evidence) of SDA beliefs that all major life forms were created within a 6-day period; that no life forms have been around for more than 6100 years; that a living human can be formed from dust; that a flock of sheep can instantaneously appear on a mountainside; that a virgin woman can conceive a child without sperm (other vertebrates do this; perhaps a human case is out there? ); and that Jesus was resurrected. Where is this â€œoverwhelmingâ€ evidence? Why is the silence so deafening? You continue to assert that we donâ€™t need faith because it is useless and, besides, our beliefs are backed by evidence. You have called for the firing of certain GRI staff because they donâ€™t preach evidence to support these beliefs. But you canâ€™t either! The evidence in support of the metaphysical claims of the Bible come in the form of those physical claims of the Bible that can actually be subjected to tests with the potential of falsification. If those claims of the Bible that can be tested are shown to be false, the credibility of those claims of the Bible that cannot be tested declines accordingly. It is all about establishing credibility – as Jesus did when he asked, “Which is easier? – to say ‘your sins are forgive’? – or to say, ‘get up and walk’?” What would have happened to Jesus’ metaphysical non-testable claim to be able to forgive sins if the paralyzed man had not been healed when Jesus said, “Get up and walk”? Sean, I am glad that you are able to make these wonderful calculations and that you sincerely believe in them. However, as much as you would like to believe otherwise, your claims are not real â€œscienceâ€ until you publish them in a reputable science journal. Since when has “real science” been dependent upon peer review? Was Galileo not doing “real science” just because he didn’t publish in peer reviewed journals? He didn’t really have many peers anyway. I’m sorry, but scientific ideas are not dependent upon peer review for their validity. They stand or fall on their own. They are nothing less than the opinion and conjecture of a creationist hobbyist, though they certainly bear the ring of authenticity to a Church membership that is largely lacking any kind of rigorous science background. And you, who admits that you don’t have any basis to make any relevant comments on this particular topic one way or the other, are better off? You have, of course, a rigorous science background. Yet, you have nothing substantive to offer on this topic besides your very strong faith in the powers of peer review to produce real scientific discovery without blocking very good ideas due to the bias of those vetting mainstream journals. Did you actually read the comments I posted of other scientist who have been continually blocked from publishing such ideas in mainstream literature? You have three obvious problems to contend with. 1. Proving falsifiable claim A of the Bible (e.g., Jesus was a real person) does not prove, no matter how much you wish to believe, unfalsifiable claim B (examples: Jesus was born of a virgin; Jesus created the earth in 6 days 6000 years ago; Jesus never sinned; Jesus was resurrected). Do you not see the logical flaw here? 2. Your obvious challenge is to devise an experiment to falsify the most remarkable claims of creationism, such as the examples of claim B above. You refuse to concede that those claims cannot be falsified and therefore there is no scientific evidence for them. You can’t bring yourself to be honest and tell readers one simple truth: many SDA fundamental beliefs cannot be supported by physical evidence, i.e. science. You know the truth, but you don’t dare breath it. Yet you attack others who know the truth and state it honestly, like certain GRI scientists. 3. Your next problem is that if you allow some evidence to support the Bible and then conclude the remainder of the Bible is valid, the same holds true for evolutionism. If some evidence supports evolutionism, then the remainder of evolutionism is true. Somehow I don’t think you’re comfortable with the latter, so I suggest you rethink the former. Do you not see the logical flaw here? It is all about establishing credibility â€“ as Jesus did when he asked, â€œWhich is easier? â€“ to say â€˜your sins are forgiveâ€™? â€“ or to say, â€˜get up and walkâ€™?â€ What would have happened to Jesusâ€™ metaphysical non-testable claim to be able to forgive sins if the paralyzed man had not been healed when Jesus said, â€œGet up and walkâ€? I’m confused. I thought we were all supposed to agree with all of your wild claims. Did you actually read the comments I posted of other scientist who have been continually blocked from publishing such ideas in mainstream literature? And yet there are creationists who can do so. You never know until you try. This paper makes very similar arguments to the one’s I’ve been presenting on my own website, in forums like this one, and in my new book, “Turtles All the Way Down: Questions on Origins” – which can be purchased through my own website (listed below). Dr. Richard Sternberg, the editor of the journal at the time, was subjected to harassment and discrimination in an effort to force him out as a Research Associate. In fact, NMNH officials demoted Dr. Sternberg to the position of Research Collaborator. In emails exchanged during August and September 2004, NMNH officials revealed their intent to use their government jobs to discriminate against scientists based on their outside activities regarding evolution. For example, Dr. Hans Sues, Associate Director for Research and Collections, suggested in emails on August 30, 2004, and again on September 9, 2004, that Dr. Sternberg would never have been appointed as an RA if Smithsonian officials had known about his non-governmental activities regarding evolution. Sues even blamed the scientist who nominated Sternberg as a Research Associate for not adequately investigating his background: “Sternberg is a well-established figure in anti-evolution circles, and a simple Google search would have exposed these connections.” The clear implication was that had a background check been conducted on Sternberg’s non-governmental activities, he would have been barred from being a Research Associate. Given the attitudes expressed in these emails, scientists who are known to be skeptical of Darwinian theory, whatever their qualifications or research record, cannot expect to receive equal treatment or consideration by NMNH officials. In November of 2004, Dr. Sternberg filed a complaint with the U.S. Office of Special Counsel (OSC), the agency charged with “protecting federal employees and applicants from prohibited personnel practices, especially reprisal for whistleblowing.” The OSC eventually found evidence to corroborate Dr. Sternberg’s complaint, concluding that “[i]t is… clear that a hostile work environment was created with the ultimate goal of forcing” Dr. Sternberg out of the Smithsonian. P.S. Note that Stephen Meyer has a new book out, Signature in the Cell that is excellent – the best I’ve personally read on the topic. I highly recommend anyone who is interested in such ideas to read this book. This story is just an illustration to show that Jesus Himself did not expect people to believe his metaphysical claims without direct physical evidence to support His overall credibility. He didn’t leave the people in His day without such physical evidence. And, He will not leave us without such evidence either. He does not expect blind-faith belief without any rational basis in physical evidence upon which to base an intelligent faith. For me, I think the basis for Christianity goes beyond emotions or deep feelings of truth. I think that Christianity is specifically tailored, by the biblical writers, to appeal to the intelligent, thoughtful, candid mind… as well as to the heart. However, conviction as to the reality behind the hope that the Gospel message offers begins with the mind. Proving falsifiable claim A of the Bible (e.g., Jesus was a real person) does not prove, no matter how much you wish to believe, unfalsifiable claim B (examples: Jesus was born of a virgin; Jesus created the earth in 6 days 6000 years ago; Jesus never sinned; Jesus was resurrected). Do you not see the logical flaw here? Interesting but increasingly expected denigration of two GRI scientists, whom a number here, including Sean Pitman, have called to be fired for undermining the Church’s fundamental beliefs on origins. I thought I’d take a look at the “SDA position on origins” and see how falsifiable the claims really are. Here, I dissect Fundamental Belief #6, “Creation,” in entirety. Hmmm…I’ve covered every word of this fundamental belief. If someone knows of published evidence to scientifically validate a single one of these claims, please provide a Google Scholar link to the study and, if you don’t mind, please relate the null and alternative hypotheses that were tested, the sample sizes used, and the statistical tests employed to test these hypotheses. I would be very interested to read that evidence. But heck, we should still fire these GRI scientists. Maybe it’s the IRS, or their embellished resumes, or something else we just don’t know about. Surely they are liars and thieves! How dare they refuse to tell us what we demand to hear?! Shall we similarly study the remainder of SDA Fundamental Beliefs? This is the reason why most physicists believe that a God or at least a God-like power is behind the extreme fine tuning of the universe necessary to support life. However, the concept that the Earth was made habitable as a place that could support complex life and that life itself appeared on Earth in recent history is testable in a falsifiable manner. In fact, the majority of modern mainstream scientists today think that this old biblical notion has indeed been very clearly falsified. Clearly then, it is a testable and potentially falsifiable hypothesis. It is therefore a valid scientific statement. The only question now is, has it in fact been clearly falsified? As I’ve already explained for you, the rational basis of believing those statements which cannot be directed tested in a falsifiable manner is based on the reliability or demonstrated credibility of those statements that can be tested in a potentially falsifiable manner. If you believe that such statements have indeed been clearly falsified, then you really have no rational basis to continue to believe in those statements that cannot be tested in a falsifiable manner. Did you really not understand the illustration of Jesus providing empirical evidence to support His non-testable non-falsifiable metaphysical claim to be able to forgive sins? Do you really not understand the concept of establishing credibility based on those aspects of a source of presumed authority that can be tested and potentially falsified? What good is your blind faith in these statements Prof. Kent? – if you really don’t believe that their credibility is based on any associated empirical evidence whatsoever. What is the difference between your faith and someone who has “faith” in the Flying Spaghetti Monster? How do you know that the Bible is “true”? – or that you have not fallen for “cunningly devised fables”? 2 Peter 1:16. The hypothesis that only intelligent design could explain a given phenomenon is falsifiable by science. All you have to do to falsify this hypothesis is show how a non-deliberate mindless process of nature could likely be able to produce the phenomenon in question in a reasonable amount of time. This is the basis of SETI science, donâ€™t you know? No, no, no, no. You are wrong. If you could show that a non-deliberate mindless process of nature could create anything living at all, it still does not mean that God himself did not do it. How can you not see this? You simply cannot falsify the claim that “God is creator of all things.” The closest you can come might be to point out that many vicious animals are with us today, including venomous species from all major animal groups, which suggests that, in fact, God was NOT creator of ALL things. You haven’t helped your mean-spirited campaign to impugn and fire GRI scientists. What good is your blind faith in these statements Prof. Kent? â€“ if you really donâ€™t believe that their credibility is based on any associated empirical evidence whatsoever. What is the difference between your faith and someone who has â€œfaithâ€ in the Flying Spaghetti Monster? How do you know that the Bible is â€œtrueâ€? â€“ or that you have not fallen for â€œcunningly devised fablesâ€? I have addressed this stupid “blind faith” nonsense repeatedly and you have consistently dismissed my posts and those of others, like Victor Marshall (I think his name is), who wrote a beautiful post on the topic. There isn’t a reader here, myself included, whose faith is “blind.” You can call it “blind,” but doing so does nothing more than to serve your narcissistic objectives. We ALL use evidence from portions of the Bible to bolster our faith in other portions of the Bible. You have articulated how you do so, but you are arrogant to believe that you, or only true Adventists, are the ones who do so. Your examples of “blind faith” are stupid. Only children, of course, believe in the Tooth Fairy, Santa Claus, and a Flying Spaghetti Monster. Is their faith “blind?” Of course not. Like your belief in the Bible, these children believe in these entities because they accept the knowledge and authority of their parents. Much of what their parents tell them is true, so of course this builds faith in their statements about non-existent entities. Their faith in what they are told by their parents is no more “blind” than your faith in what you are told by God. You have posted the same stupid argument about “blind” faith repeatedly here and all over the internet and no one takes you seriously. The vast majority of believers do NOT have “blind” faith, nor do children who believe in monsters. This is as ridiculous a straw man argument as there ever was. We are all sick and tired of your pernicious, obnoxious attacks on faith. Give ’em up. That about sums it up and again nullifies the argument that the T.E.’s (theistic evolutionists) want to have: Religion versus Science. It can’t be framed that way. It’s view-point versus view-point. Both are falsifiable. Ah, but it does mean that God is not the only one who could do it. That is why, if you will notice, I call my design hypothesis the ID-only hypothesis. Given the discovery of a mindless natural mechanism that can produce the phenomenon in question, it means that intelligent mechanisms are not the only means available that could do it. And, this means, of course, that the hypothesis that only an intelligent agent could produce the phenomenon in question is falsifiable and has in fact been falsified. This logical argument is the basis behind all mainstream sciences that do in fact invoke ID to explain various phenomena in nature to include forensic science, anthropology and even SETI science. You simply cannot falsify the claim that â€œGod is creator of all things.â€ The closest you can come might be to point out that many vicious animals are with us today, including venomous species from all major animal groups, which suggests that, in fact, God was NOT creator of ALL things. As I’ve repeatedly pointed out to you, I never claimed that God was the creator of all things. I don’t think He is. What I said is that high levels of functional complexity clearly require the outside input of deliberate intelligence of some kind – not necessarily God-like intelligence. You havenâ€™t helped your mean-spirited campaign to impugn and fire GRI scientists. How is it “mean-spirited” for the SDA Church to actually expect its paid employees to promote what they were hired to promote? There isnâ€™t a reader here, myself included, whose faith is â€œblind.â€ You can call it â€œblind,â€ but doing so does nothing more than to serve your narcissistic objectives. We ALL use evidence from portions of the Bible to bolster our faith in other portions of the Bible. Interesting. I’ve never seen you say this before – but I’m glad that you seem to be saying it now. I’ve never recognized when you have argued for any empirical evidentiary basis to believe the Bible as authoritative or more credible than any other religious book or claimed basis of authority. All I’ve seen you say is that one can believe in the authority of the Bible based on “faith alone” – – regardless of any empirical evidence to the contrary. You’ve seemed to consistently argue against the idea that the Bible can be subjected to any kind of testing or the potential for falsification. For me, that sounded an awful lot like blind faith. If you do actually believe based on at least some sort of empirical support for Biblical credibility, I’d love to hear your argument along these lines… especially in the face of your arguments which seemingly suggest that the apparent scientific falsification of the Genesis narrative doesn’t really matter when it comes to Biblical credibility… which is what those like Ben Clausen are suggesting. Again, this sounds an awful lot like blind faith to me. Please do explain why you claim to believe the biblical account of origins, but don’t believe in Santa Claus or the Flying Spaghetti Monster. Upon what rational basis is your belief in the Bible’s credibility superior to believing in the existence of garden fairies? As Iâ€™ve repeatedly pointed out to you, I never claimed that God was the creator of all things. I donâ€™t think He is. And this from someone who publicly chastizes and condemns anyone who dares to undermine SDA fundamental doctrines. If you do actually believe based on at least some sort of empirical support for Biblical credibility, Iâ€™d love to hear your argument along these linesâ€¦ especially in the face of your arguments which seemingly suggest that the apparent scientific falsification of the Genesis narrative doesnâ€™t really matter when it comes to Biblical credibilityâ€¦ which is what those like Ben Clausen are suggesting. I believe that reading the Bible can change a person. It changes me. It’s changed many of my family members and friends. I believe the Holy Spirit plays an important role in this. When I read the accounts of the apostles, who portray themselves as bumbling fools, I am moved by how little they gained and how all of them were willing to give up their lives for what they claimed they saw and heard. There are aspects of history portrayed in the Bible, and Biblical prophecy, that ring very true. These are but some of the evidences I choose to believe in, and from them, I am willing to accept the Bible in entirety as God’s inspired word and even much of the Creation account as true. And none of us need quantitative scientific data to prove beyond doubt that all major life forms were created in only 6 days less than 6,100 years ago. None of the disciples or apostles needed it, so why should you or I? Besides, even if there is some evidence for a young earth (I don’t dispute this; I just don’t think it’s overwhelming), that comes far short of proving 6 days 6000 years. Just like me, you have nothing more to go on than God’s word–and this becomes a matter of faith, not “blind” faith, but simple faith in God’s word. Some of us have this faith, including you, and others do not. I don’t think you want to be attacking those who have this faith, when it’s those who do not that upset you the most. You can’t be serious. The SDA Church clearly teaches that God is not the creator of all things. God is not the creator of sin, for example, because sin is rebellion against God’s will. God is therefore not responsible for the creative activities of those who are working against His will – like the very creative intelligence of Lucifer, for example. I believe that reading the Bible can change a person. It changes me. Itâ€™s changed many of my family members and friends. I believe the Holy Spirit plays an important role in this. When I read the accounts of the apostles, who portray themselves as bumbling fools, I am moved by how little they gained and how all of them were willing to give up their lives for what they claimed they saw and heard. There are aspects of history portrayed in the Bible, and Biblical prophecy, that ring very true. These are but some of the evidences I choose to believe in, and from them, I am willing to accept the Bible in entirety as Godâ€™s inspired word and even much of the Creation account as true. So, you do appeal to actual empirical evidence to support faith in the Bible… using similar arguments to the ones I use myself. That’s great! And none of us need quantitative scientific data to prove beyond doubt that all major life forms were created in only 6 days less than 6,100 years ago. That’s not the issue. The issue is that given an understanding of the data that indicates that it is overwhelmingly evident that life has in fact existed and evolved on this planet over the course of hundreds of millions of years, the Genesis narrative cannot be true. It is effectively falsified and therefore looses a great deal of credibility given such a scenario – a loss of credibility which significantly impacts many other aspects of the Bible and various metaphysical claims that cannot be tested or falsified in such a direct manner. Great example, Sean, and one in which Darwin himself didn’t have a clue! The idea that “everything” on earth, even the bad stuff, is a result of “God” is an argument that many use to deny the existence of God and His creative power. As Iâ€™ve repeatedly pointed out to you, I never claimed that God was the creator of all things. I donâ€™t think He is. … The SDA Church clearly teaches that God is not the creator of all things. What can I say? I’ll let the reader decide whether you are undermining a fundamental SDA doctrine, and whether you yourself would be a liar and a thief if employed by the SDA church. The idea that â€œeverythingâ€ on earth, even the bad stuff, is a result of â€œGodâ€ is an argument that many use to deny the existence of God and His creative power. What can I say? Iâ€™ll let the reader decide whether you are undermining a fundamental SDA doctrine, and whether you yourself would be a liar and a thief if employed by the SDA church. What’s with our MDs calling for the firing of others for undermining FB #6 when they themselves do the very same thing? What can I say? Iâ€™ll let the reader decide whether you are undermining a fundamental SDA doctrine, and whether you yourself would be a liar and a thief if employed by the SDA church.Whatâ€™s with our MDs calling for the firing of others for undermining FB #6 when they themselves do the very same thing? There is no point in discussing with someone who is trying to be deliberately obtuse. FB#6 is clearly talking about the existence of all things goodâ€¦ as at the end of Creation Week when God said that it was â€œvery goodâ€. I think you are walking on shaky ground when you subject FB #6 to your own personal interpretation and then criticize others for having their own personal interpretation that differs from yours. So your position is that fundamental belief #6 cannot be interpreted directly. Interesting. I was waiting for this to happen. Our Professor Kent has arpeggioed himself into the position of saying God created evil, and says Adventists say so (if thereâ€™s one thing Adventists insist itâ€™s just the opposite, exactly the opposite; I know, Iâ€™m one), and jumps all over Sean and â€œour MDsâ€ (rather generic typecasting, alas; Iâ€™m one of those too) for denying it. This is getting more ironic by the minute. But thatâ€™s where you end up when theistic Evo leads you on. Darwin himself never said God created evil â€“ he didnâ€™t believe in God. For once, Iâ€™m glad he didnâ€™t. But our declamatory theistic Evoeans, academics of more than one department, say they do, believe in God, yea, have faith in God, and the less they believe in the Bible, the more faith in God, faith to the uttermost utmost. So they are free, yea obliged, to apply a twist that even Darwin didnâ€™t: Evolution turns out to have been employed by God Himself as the mechanism of Creation, the special theistic twist, and, now back to Darwin, any evolution, requires, to make it work, death and elimination of the weakest (upon whom Christ at the Mount of Blessings pronounced a blessing), which, by theological definition, is â€“ presto! â€“ evil. And God created pain, suffering, death, Evil â€“ and saw that it wasâ€¦ take over, LSU. I happen to believe in FB #6. Gotta problem with that? I can’t prove any of the statements with scientific evidence, and Sean can’t do any better himself; is that your problem instead? At least I’m not undermining it. Whatâ€™s with our MDs calling for the firing of others for undermining FB #6 when they themselves do the very same thing? Hmmm – I guess this is the part where Kent “discovers” that Adventists are not Calvinists which is why none of us takes Belief #6 to mean that God made Satan — when in fact God made Lucifer AND “free will”. The principle of free will provides a level of indirection that disconnects God from the actions of the creature – UNLIKE the “simple scientist and his robot” model that the Calvinist likes to imagine. This particular conversation between Cavlinists and Arminians is as old as the hills. What is facinating is the idea that those trying to make room for evolutionism (even in the extremely self-conflicted case of those who claim they are creationist while doing so) – should feel the “need” to “reach” for this Calvinist argument in their extreme out-on-a-limb denials of the obvious. “I disagree with Ben Clausen. The clear weight of evidence, as far as Iâ€™ve been able to tell, is strongly supportive of the SDA position on origins. The genetic, geologic, and fossil evidence all speak to a recent formation of life on this planet and to a sudden worldwide watery catastrophe that produced much of both the geologic and fossil records in very short order. You start by asserting that the clear weight of evidence is strongly supportive of the SDA position on origins. Ervin Taylor disagrees with you. You dismiss Ervin Taylor’s comment by calling him an ardent evolutionist. You reply with an Ad hominem attack. You attack Ervin Taylor, not his assertion. The crux of this argument appears to be whether or not the scientific evidence supports young age creationism (YEC) or not. You assert that it does. You are in the distinct minority view on this. Said more strongly, you are wrong. I have read your website. It contains many interesting points that reveal the weaknesses in the scientific evidence, but it does not rewrite the scientific consensus on plate tectonics, geology or other sciences that can inform a scientific evaluation of the claims of YEC. However, YEC and flood geology cannot be supported by the available data. It is possible that God created a young earth to look old, much older than 6000 years. It is also entirely possible that the creation and flood were miraculous and that we cannot use human observation to answer these questions at all and we must simply believe. An honest scientist who works for the church is being demanded by you to hew to a dishonest position, and yet you call him/her a thief. This is untenable and wrong. Please stop the attacks. They are not thieves. They are not stupid. They are not dishonest. They are in the same position that I and many other committed Adventists are in. We love and support our church, we believe it’s message, we accept the bible for what it says. At times, science seems to disagree with revelation. In those circumstances I refuse to rise to the bait. 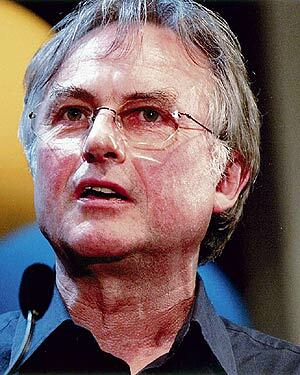 I refuse to submit my belief in God and His creative power to the test of whether or not He is observable in the eyes of Richard Dawkins. This does not make me a believer in his flying spaghetti monster, nor does it make me a flat-earther. It makes me a person who is willing to wait for God to reveal this mystery to me in His own time, if necessary during eternity. You start by asserting that the clear weight of evidence is strongly supportive of the SDA position on origins. Ervin Taylor disagrees with you. You dismiss Ervin Taylorâ€™s comment by calling him an ardent evolutionist. You reply with an Ad hominem attack. You attack Ervin Taylor, not his assertion. Obviously, it is only my personal opinion that the weight of evidence is clearly in favor of the SDA perspective on origins. You are also in the same boat I’m in by the way. You do realize that the majority of modern scientists also disagree with your personal opinion that the weight of scientific evidence supports the need for a God or a God-like power to explain the origin of certain features of the universe and life on this planet? The crux of this argument appears to be whether or not the scientific evidence supports young age creationism (YEC) or not. You assert that it does. You are in the distinct minority view on this. Said more strongly, you are wrong. You are certainly with the majority in that opinion. However, your opinion is against the opinion of the SDA Church organization… which is my whole point in this particular forum. I have read your website. It contains many interesting points that reveal the weaknesses in the scientific evidence, but it does not rewrite the scientific consensus on plate tectonics, geology or other sciences that can inform a scientific evaluation of the claims of YEC. It is one thing to make bald assertions like this. Any specific counter-arguments to anything I’ve actually said on these topics? in particular? You are not wrong that the data are most consistent with a superhuman intelligence (God) creating the universe and life. Why are you so willing to disagree with the mainstream consensus of modern scientists here (telling me that my arguments in opposition to mainstream science are correct in this case), but tell me that I’m nuts for disagreeing with mainstream scientists when it comes to my interpretations of geology and the fossil record? There is no way that inanimate matter could become alive due to random natural processes. An early insuperable obstacle is the homochirality problem, but that is merely one impregnable barrier. Many others follow. It is also possible that God made everything “Last Thursday“, or even 5 seconds ago, and just made it look like it has been here longer. Such arguments are simply not helpful when it comes to establishing a solid basis for a rational hope or faith in the Gospel’s “good news”. You are also not considering the possibility that what looks old to you only looks that way because you are not reading the evidence correctly. As I see the available evidence, the significant weight of evidence is inconsistent with the old-age arguments for the ancient age of either the geologic column or the fossil record. Both of these records literally scream “recent catastrophe”. If you disagree, by all means list off some specific argument that I’ve made, either here or on my website, and why you think I’m wrong. Again, the above link would be a good place to start. A honest scientist who disagrees with the SDA Church should not work for the SDA Church. It is not honest to take money from any organization that you honestly think is so wrong that you would be forced to undermine what they are trying to promote. It is dishonest to take money from anyone while going about promoting just the opposite of what you were paid to promote. Please stop the attacks. They are not thieves. They are not stupid. They are not dishonest. They are in the same position that I and many other committed Adventists are in. We love and support our church, we believe itâ€™s message, we accept the bible for what it says. There are many who believe that faith trumps all forms of empirical evidence – that one can believe via faith even if all the available evidence is completely opposed. The problem with this notion is that it leaves one with no rational basis to distinguish between different faiths. Why is your faith in the existence of God better than someone else’s faith in the Flying Spaghetti Monster? or the Book of Mormon? or the Qur’an? or even the faith of most mainstream scientists that everything ultimately came from nothing via mindless mechanisms? Upon what rational basis should anyone accept your “faith” as being any more credible than any of these other “faiths”? It is one thing to make bald assertions like this. I may be the only one, but I find the diction with this oft-repeated phrase rather confusing. Perhaps this is because I’m follicularly challenged. Roughly half the time I read about “bald” assertions here, and the other half it’s “bold” assertions. Is there a difference between a “bald” assertion and a “bold” assertion? Someone please help me understand. Prof, A “bald” assertion is usually a statement that has very little to no evidence or basis to back it up.